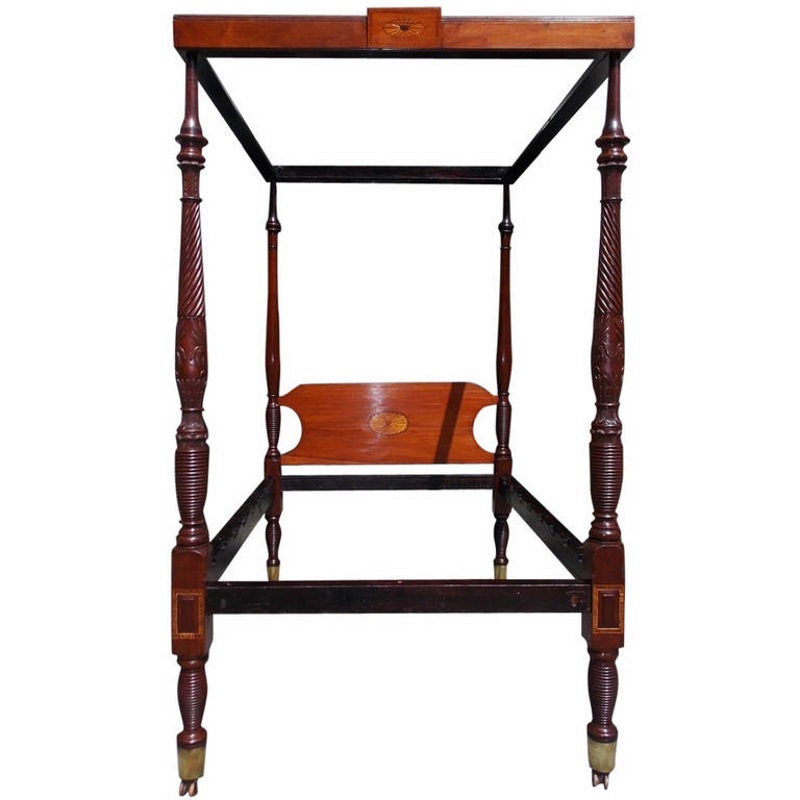 Charleston mahogany inlaid four poster Rice Bed with patera inlaid headboard, patera tester, turned ringed rice post with brass feet and wood casters. Descended in the Leonard family of Charleston. Early 19th Century.